Mold myths are nearly as ubiquitous as mold itself (more on that in a moment). Here are a few quick facts about mold to help set the record straight on this invasive problem. As alluded to above, mold spores are incredibly common in almost all air, and are probably present in some concentration in the air you’re breathing right now. Airborne mold spores aren’t incredibly problematic by themselves, but when mold lands in optimal conditions and is allowed to grow, the concentration of mold in the air rises exponentially. This higher level is what can irritate asthma and cause other health concerns. Not quite. Killing mold temporarily solves the problem of the visible growth that you removed with cleaning products, but problems can still remain. The “dead” mold still has the potential to cause irritation, and if you’re not careful taking it out of the home, these spores can spread to other areas. In addition, if you still have a slow leak or moisture problem, the conditions for the mold to regrow are still present, and you’re likely to see another mold colony in short order. Still could be mold. Just because you can’t see it or smell it, doesn’t mean it doesn’t exist. If you have allergy issues that have been flaring up or you’ve had eye or nasal irritation, you could have hidden mold problems. Mold doesn’t require light to grow, so it’s entirely possible that you could have a serious issue just out of sight between walls or beneath floors. Mold is incredibly tenacious. 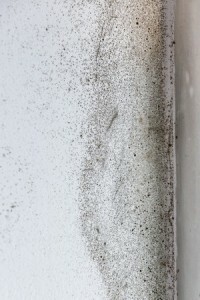 As long as a surface has some sort of a food source for mold to grow on, mold can potentially take hold. While hard, nonporous surfaces like steel and glass can in the right conditions allow mold growth, it is rare, and a thorough cleaning can often solve these issues. Don’t forget, though – just as mentioned before, if you aren’t careful with the removal or if the conditions that allowed the growth to occur haven’t been solved, you’ll be dealing with mold again soon. At Jun’s Mold Remediation, we have more than 25 years of experience with cleaning, removing and preventing mold problems. We can get rid of your issues and help you prevent them from returning by using antimicrobial treatments and performing complete repairs to eliminate moisture problems. For more information – and a free estimate! – contact us today.